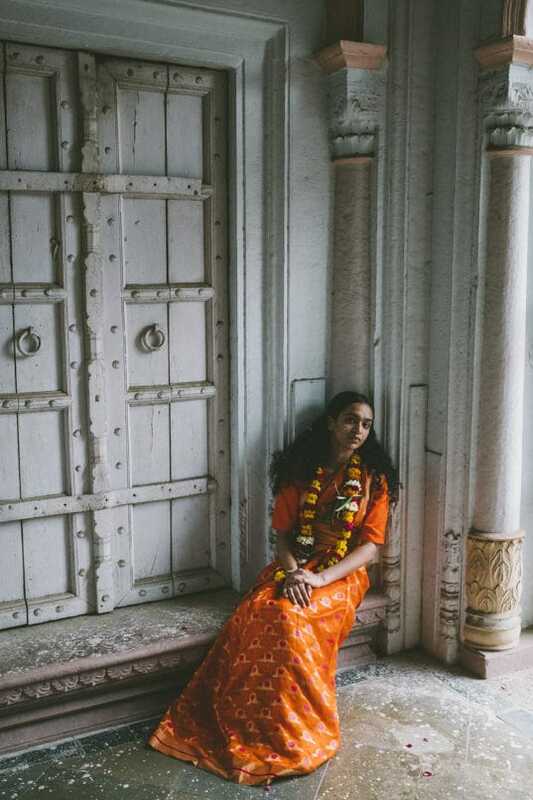 Sanjay Garg’s sari lies on an intersection between tradition and modernity. His every drape, motif, choice of fabric and colour takes us back to the simpler times when saris were a part of everyday life and not just occasion-worthy pieces. For Sanjay, saris exhibit grace yet provoke at the same time – and it comes through in the way his campaigns are designed, in the way the silhouette is personalised and through his drape that bring to the front, an Indian sensibility that’s all about finer fabrics and stunning style. 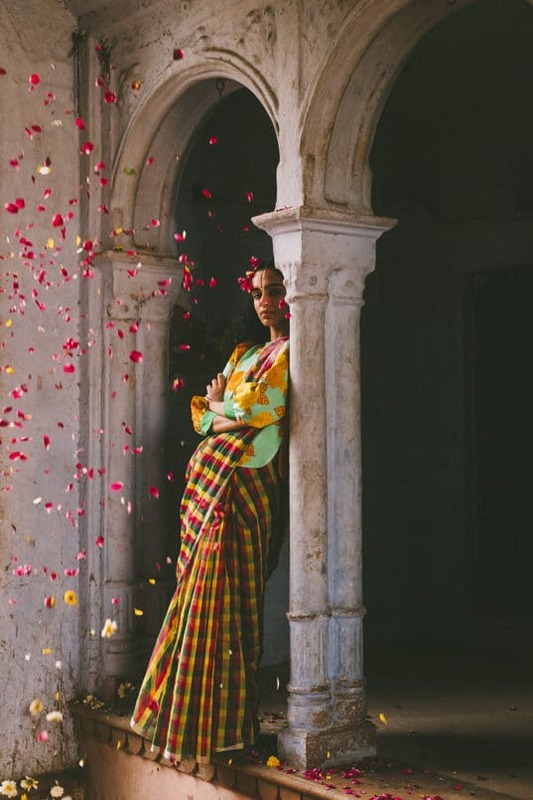 He recently launched his new Spring Sari collection titled Radha, and needless to say, every drape exemplifies his commitment to everything that is handwoven and handspun. 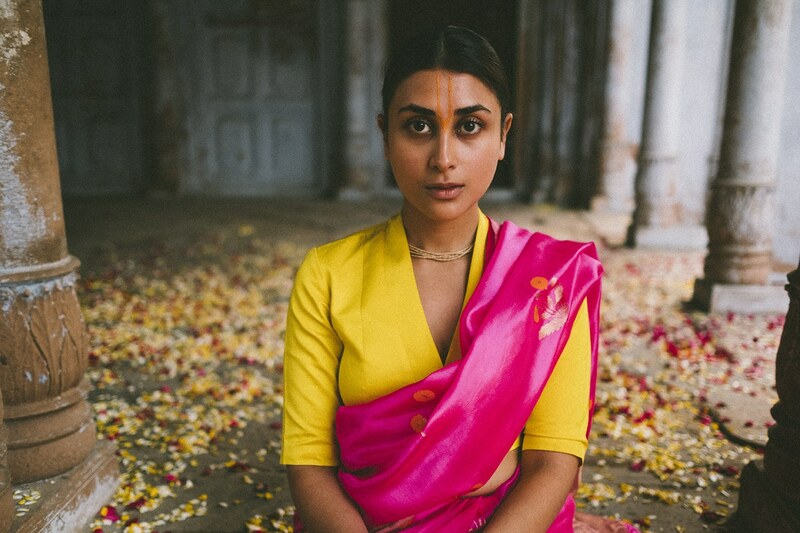 The collection is shot in the coloured bylanes of Vrindavan, with the backdrop of Holi celebration – just in time for the festival itself. 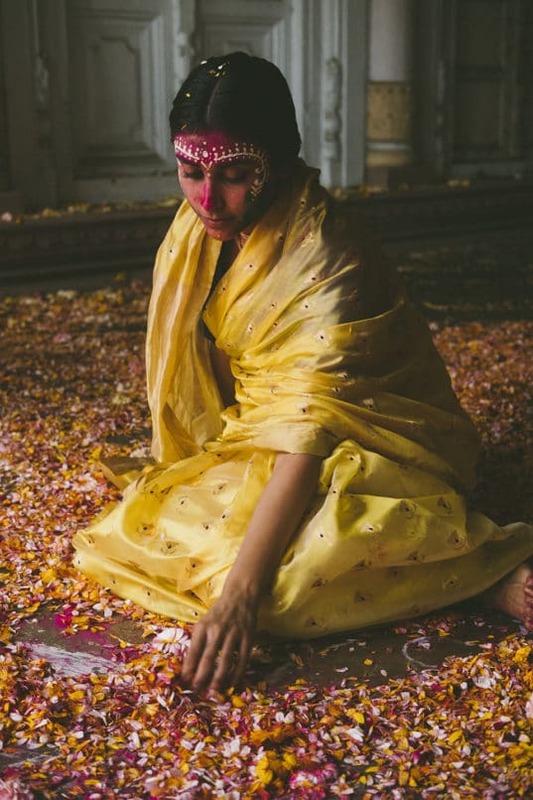 Women clad in traditional Indian drapes, with colour smeared all over and with beautiful ornate markings made using sandalwood can be seen playing Holi in the temples. The line comprises of a wide variety of chanderi drapes in spring friendly hues such as rani, lime, green and orange. Stripes and colourful chequered patterns also make an appearance. The focal theme of the campaign being ‘Krishna Holi’, different facets of Braj culture and ‘Raas Lila’ have been explored in every frame. 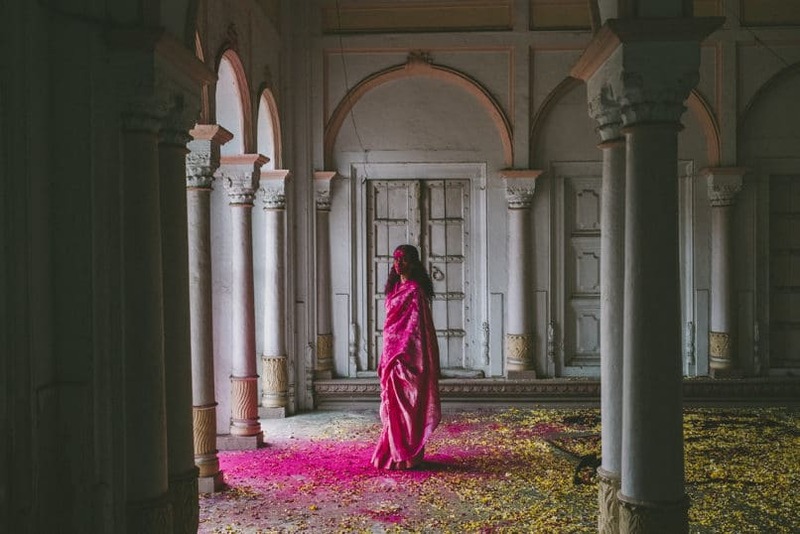 Looking for beautiful campaigns, you can always count on textile revivalist Sanjay Garg. After giving us ‘Heer’, the last season this campaign once again put’s the sari in its real context; worn by real women, seen living lives and carrying out chores. With the campaign just out, we are sure the collection with set the flavour for the coming season.